The advices, including mine. Do you know how to dance? Well, you have to learn how to dance with your partner -- the audience. * 33. Audience sees the secret of life and relates. You must understand the audience : Audiences imagine more in their head than you can ever act out. Audience pay their $10.00 to see the inner of characters. ������������� �������, ��� ����� ������ ���� �����, ����� ������� ������ � ����� � ���� ������� �� ��������� ���. ���� ������� �� ������ �� ��������� �� ������ � � ������ ���, � ����� ��������� �� ����� �������. 2005: We go to the theater to live other life's. 30. Audience supplies the story, you are simple, simple. And this is a problem. That's the reason why we have such a difficult time noticing ourselves. To understand the nature of the Public is to discover how Theatre works. * 11. Audience's imagination is what you want to work, so take your time. * 17. Audience will only respond to feelings. Any experienced actor knows it too well. I know it -- I'm a director. I direct actors only for one single purpose -- they have to direct the public. Public is their material. The final stage of drama, the experience of the show takes place over there. Does Audience perform? Each spectator does. There's a moment when Theatre begins. "Empty Space" -- said Peter Brook. The watched space isn't empty. It's full of energy. Actors gave a name for this feeling of stepping in this "empty space" -- "stage fright." The audience (even when it's only one - a director) charge the stage with power (potential energy). 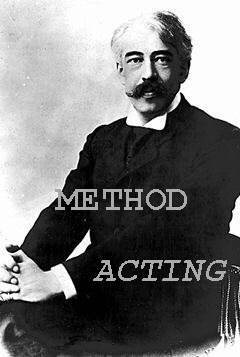 What does an actor need to do? How to use it. He releases it the way a nuclear reactor does. (Not a bomb, uncontrolled explosion of energy, madness of crowd). The Entrance -- not only stage space but audience imagination (actor's birth of "stage"). Missing this moment of appearance, the actor wouldn't be able to function. Each actor's entrance effects the whole balance of stage space (gravity and space in Einstein's theory of relativity). Novice actors feel as if they are (personally) are the subject of public attention -- public cares less about actor, only his role in the space of the show. Role is a relation (product) of the character and the show. Next -- character, we need to understand how it functions in order to anticipate the future action. The actor still is and should not be noticed behind his role (mask, as they say). NB. Vakhtangov School: the extreme theatricality of the director (Meyerhold) and the complete naturalism of the actor (Stanislavsky). Multiple nature of Spectator: creator, instrument, material. Show business (spectator--spectacle), visual. But the most dramatic experience when he forgets that he sees, he is not watching action anymore, he lives it (identification). 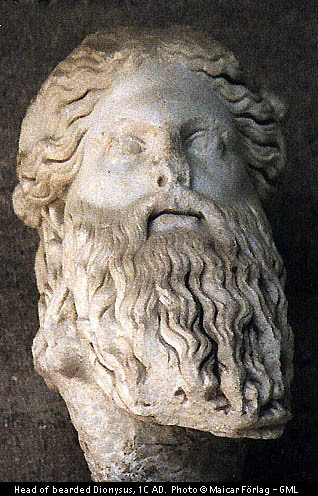 Spectator, a single member of the audience. Stage relations (all elements, not only actors) organized by the public, for the public and by the public. Two Partners (Second actor or The Scene, Two Interactive Universes within World of Spectator). Stage Distance and dynamics of Distance with the Stage. Other body -- The Second Monologue. Golden Triangle: Connections between actors through the audience only. Dramatic Relations: Spectator is a part of the Message, because conflict can't be recognized (realized) without him. Without audience, "parts" of drama make no sense. Audience is an external composition of drama. How is actor born out of Spectator? The audience's stare alone creates dramatic tension -- every actor knows it -- stage fright. Dramatic space is full of energy created by many watching empty space (stage). Attention thrown at nothing, expectations of drama (we know it's about to happened) -- actor's fear before crossing the line. The mirage of actor is already in there. That's how the world was created. The power of watching for word (actor). It's a space full of time: it's not empty anymore. It's "watched space", ready for actor to be born into it. They, the public, provide time segment. Under God's eyes: not one pair of eyes but several hundreds. Stage is space where nothing "real" take place; life with her accidents and surprises is separated in order to create a small spot of free space. Whatever is about to happen in this clean sacred space wouldn't be real (nobody would be really hurt or killed); and such violation of nature make it dramatic. How does actor create a stage-space for himself out of nothing? The Empty Space becomes a dynamic space as soon as the Actor/Medium is placed in it? Meyerhold further notes that very similar connections between space, time and matter exit in Einstein's theory of relativity; those three elements are inseparable. Movement/energy is essential quality of matter (147). Does it mean that the very absence of actor in "theatre space" is a violation of "theatrical laws" -- spot light asks for actor to appear. The way actor enters this space (energy) give the space different weight, structuring time accordingly. "Acting is melody, directing is harmony... I discovered that not long ago, and I astonished myself, the definition was so exact. Don't you think so?.." MASTER: Please, please, remember it! * 9. Audience must discover things from action. * What is going to happen, keep them waiting for the next moment. * 3. Audience looking for the bizarre. Beyond their own lives. Arrange and entertainment, interesting and spectacular. The sixties and interest in rituals had return a religious dimension into theatre. We're avoiding any talks about Aristotelian "catharsis" -- not in actual, metaphysical terms. What a pain to see somebody going through years of training without a major breakthrough. They hold back. They fight you. They're closed up structures, they don't want to try. "I die every night." Nietzsche. "I am born every morning." Paul. Actor lives through this death and birth many times a day. That's how a child lives -- and therefore grows. Bad theatre = without the audience, only with public. With no personal addresses. No message, was said. Audience: Public, second actor's ego is made up of those who witness the event through dramatic (emotional, intellectual) participation. 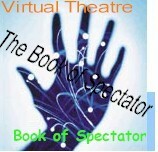 The Book of Spectator: Click to View Links. * 1. Audience lives in actor's imagination, he takes us into a dream. * 2. Audience will invent for you. * If everything is a climax, nothing is a climax. react, never hurry to get next line out. relate to their own experiences. focus, do one painting at a time. I believe I have found a suitable title for my book. 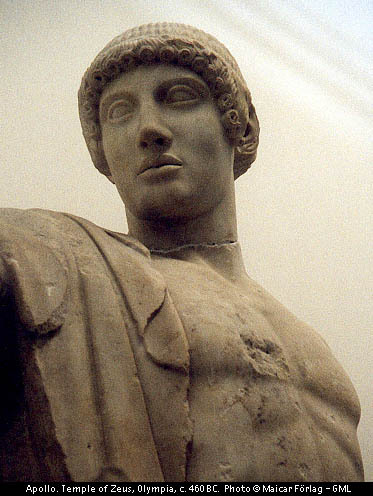 the pool of energies which constitute Myths, which man no longer embodies, is embodied by the theatre. By this double I mean the great magical agent of which the theatre, through its forms, is only the figuration on its way to becoming the transfiguration. 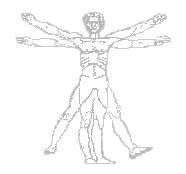 It is on the stage that the union of thought, gesture and action is reconstructed. And the double of the Theatre is reality untouched by the men of today. Artaud, Letter to Jean Paulhan. The spectator, a detached observer no longer, would be engulfed by the spectacle, bombarded by colors, lights, and sounds. About him would swirl huge masks, giant mannekins, hieroglyphics, objects "of strange proportions," and creatures "in ritual costumes." All this so as to subvert his judgment and unseat his normal sense of himself, send seismic shock waves coursing through him, to teach him his helplessness in the face of the powers that rule human life. Though Artaud's doctrine of helplessness stands at the opposite pole from the message of freedom which Rousseau wished to promote through his civic festivals--though indeed it recalls the antique doctrine of fate which Rousseau regarded as one of the most odious features of classical drama, and made him long to abolish it--nevertheless Artaud shares with Rousseau, as also with the backward-looking Nietzsche of The Birth of Tragedy, a vision of theater as a mass event in which impersonation disappears, fiction vanishes, and the spectator loses himself amid the swarm of excitants that assail him. With the actor discarded as a representative of humanity, or swallowed up in his distorting masks and exaggerating costumes, with the division annulled between stage and spectator, theater becomes a participatory rite meant to arouse and overwhelm the spectator with intense states of consciousness. Whether in joy or panic, he is made to merge directly with his fellows, to submerge his consciousness in theirs, to experience reality unmediated, instead of seeing it transferred or delegated to others. http://www.abwag.com/audience.htm * Use http://vtheatre.net to link to Virtual Theatre pages!